Imagine you’re an explorer and you’ve found the holy grail of discoveries, in front of you is an undiscovered land – jackpot! The only problem is that your ship isn’t the only ship that has reached the coast of this mysterious land, now it is a fast and furious race to settle the island. That is the task facing players of the board game, The Settlers of Catan. The land is fertile, there are many resources available to settlers, and these will come in handy when bartering with your fellow players. Not all resources are available to you though, so in your quest to build roads and settlements you will have to trade smartly to get the upper hand on your competitors. Introduced in 1995 in Germany, the game has grown in popularity considerably. It has been produced in over 30 languages. It is easy to learn and get to grips with but it relies heavily on strategic thinking, and you will need to be several steps ahead of your competition if you want to become the settler of Catan. 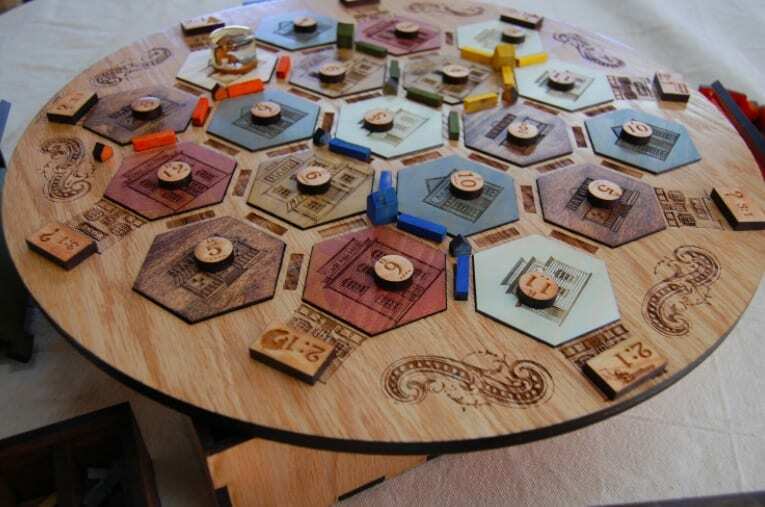 Played on a hexagonal board, players take turns using and selling their resources. The resources are; brick, wool, lumber, ore, and grain and are used to expand players across the board, building roads and settlements as they go. Each successful conversion of resources into settlements equates to one point, the first to ten is the winner. Occupying 3 – 4 players for up to four hours, the game’s popularity rose throughout the ’90s and now boasts several expansion packs allowing more players to get involved. There are also 2-player card games, based on the original board game. The resource-management game has even been converted into an electronic version, available on PC and cell phones. It has won multiple awards, including the GamesCom Game of the Century. For the millions of fans, there is a screen adaptation in the pipeline. 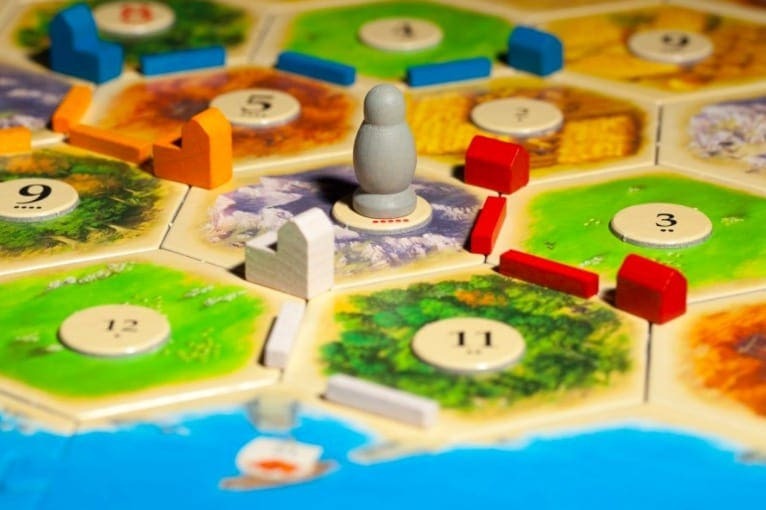 Producer Gail Katz purchased the rights to the film and TV in 2015 and talks are reportedly underway with Sony Pictures to produce a movie set in the fictional land of Catan. There are fierce competitors in the community of Catan, it has its own world championships. The current Catan World champion is William Cavaretta from the USA. Held every two years, 2018 will see Cavaretta trying to keep hold of his title. The event will take place in Germany later on in 2018, but there are several qualifying tournaments in the US if you want to test yourself against the best in the world. The designer of The Settlers of Catan game, Klaus Teuber, features in a 2012 documentary about America’s love for the German-style board games. German-style board games focus more on strategy and do not emphasize luck and conflict. Generally concentrating on economics rather than military themes common in American board games. Loved by millions, the fans of Catan have inspired a fantastic array of merchandise including clocks, socks, a cookbook, and one fan even took the time to carve the box art onto a pumpkin for Halloween. Maybe pick yourself up a copy from a store and see what all the fuss is about.